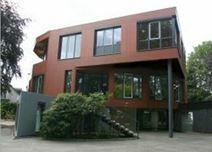 Comprised of 3 buildings, this business complex is located close to the Hannover Messe trade fair. A flexispace programme allows for your workspace to suit your specific needs. Located in a business park, there is plenty of classic industry, retail and residential properties nearby, along with a variety of local amenities. The Hannover Messe Laatz railway station allows for eacy access to the city centre. This Hanover business complex caters to entrepreneurs and new ventures, providing comfortable and ready-to-use workspace, as well as virtual office options. The Virtual Office feature, available at this location, provides your business with a professional address to represent your enterprise whilst allowing you the autonomy to remain flexible and mobile. Facilities include storage and warehousing space, and contract terms are highly flexible. The complex is well serviced by public transport and within easy distance of the airport. A brand new business centre that provides wonderfully accommodating facilities, such as administrative support, spacious breakout/lounge spaces, IT support, meeting rooms, and reception services.Modernly furnished and decorated with great attention to details, this centre offers a highly professional working environment. Within walking distance of the railway station, the centre is easily accessible from any point of the city. This business center is situated in the heart of the Hanover financial district, and offers a modern workplace in a sophisticated period property. A full range of services is available to clients, such as day offices, meeting rooms and virtual office solutions. The opera Hanover, the playhouse, the 'Theater am Aegi' and the GOP Variety Theatre are within walking distance. This centre rubs shoulders with government offices and esteemed organisations, so its address will give your business a strategic presence. Stylish offices are available to let in the centre of Hannover. Provided with large meeting rooms, they benefit from a highly-skilled staff offering first-class services and professional assistance to your business. Surrounded by hotels, shops and a variety of amenities, these offices are easily accessible. Close-by are a number of bus, underground and railway connections so you can stay well connected. Located in the south area of Hannover and excellently served by public transport, this building offers a massive office space which can be tailored to accommodate any of your needs. Provided with meeting rooms, lounge areas, parking facilities, they offer virtual office solutions and a wide range of other services. There are also support services available, such as administrative support and reception services. This modern building consists of a selection of offices sophisticatedly decorated and furnished to a high standard. Located in an attractive and famous area of Hannover, they offer a professional working environment and a private atmosphere. This location is the perfect workspace solution for businesses with international clients and would like a practical, sustainable centre at which to impress them; with direct and quick access to the Highway (A2/A7/A37), and 15 minutes to the airport. 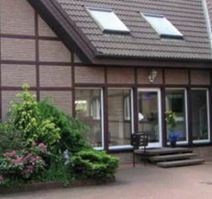 Stylish offices are available to let near the centre of Hannover, served by numerous transport routes and well connected to the motorway. The well designed offices are fully furnished and also come with meeting rooms, videoconferencing facilities, lounge area and secure parking facilities. Surrounded by numerous shops and restaurant, these offices benefit from an attractive and profitable location. Modern office spaces are available to let in the centre of Hannover, served by numerous public transport routes and with easy access to the main motorway junctions. Equipped with state-of-the-art technology and high quality administrative services, provided by a friendly and experienced support staff, these offices offer a highly professional working environment. Just a short drive away, there is a shopping centre which is at close quarters to many hotels. This brand new business centre consists of bright offices, furnished to a high standard and equipped with the latest technology. These offices benefit from an elegant reception, spacious meeting rooms and advanced videoconferencing facilities, offering you a very efficient and professional working environment. Located along one of the most important business streets, this building is just a few minutes away from the city centre, the airport and the motorway.